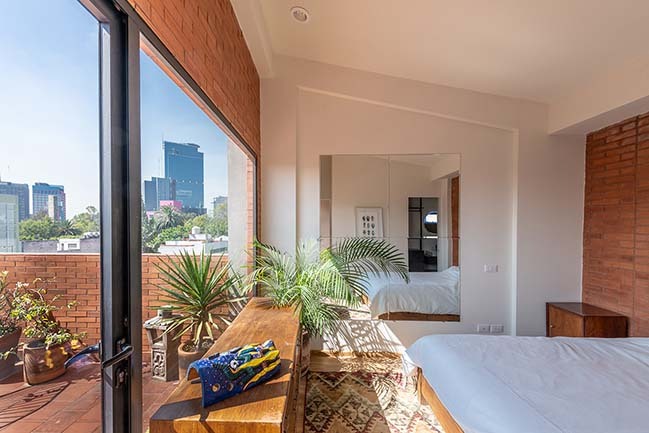 139 SCHULTZ offers the opportunity to live in an ideal place, located in the street of Miguel E. Schultz 139 San Rafael neighborhood. 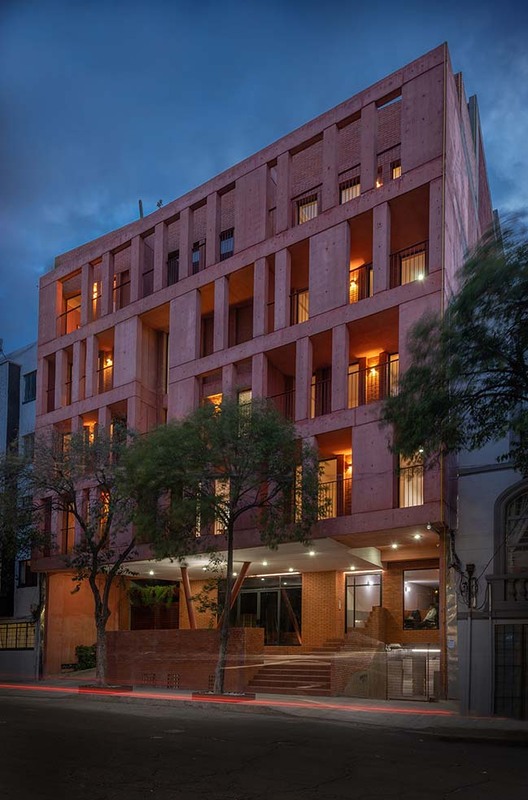 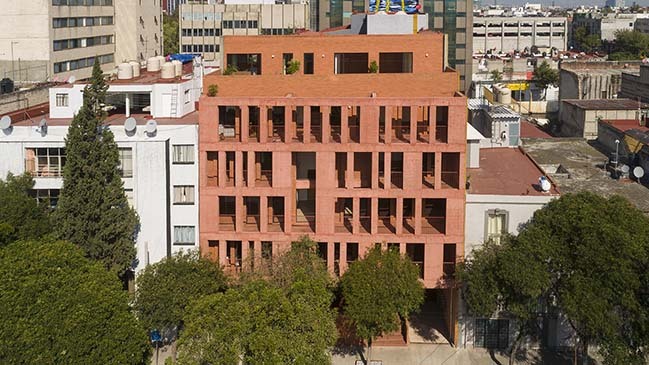 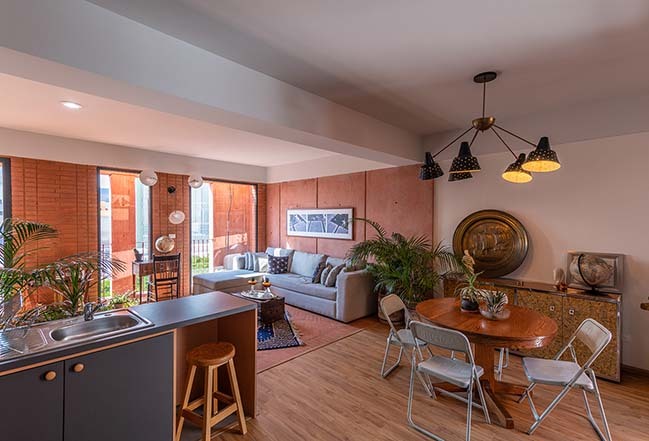 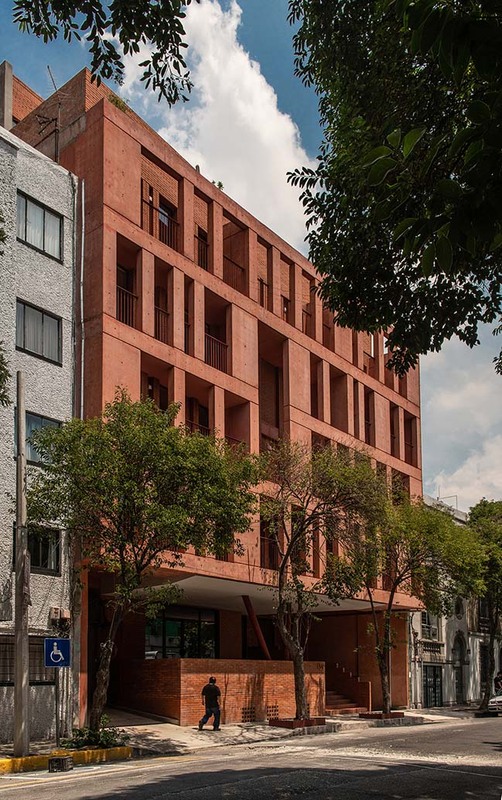 From the architect: In one of the first neighborhoods in the center of Mexico City. 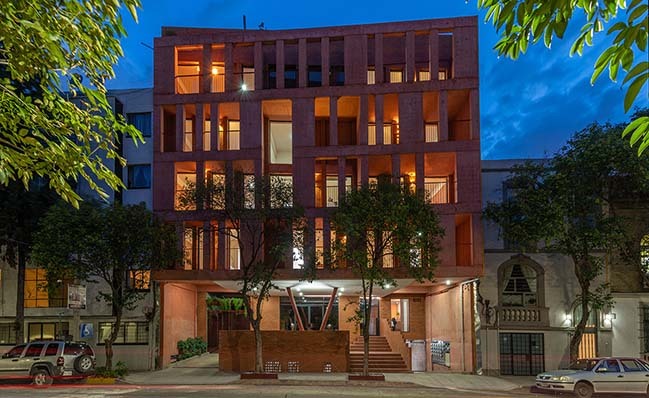 It is one of the most bohemian neighborhoods of the city, which still preserves its 19th century architecture and the atmosphere of a neighborhood of yesteryear that houses a proven variety of social classes, as the lower middle class neighborhoods coexist with cultural buildings, corporate, entertainment and historical. 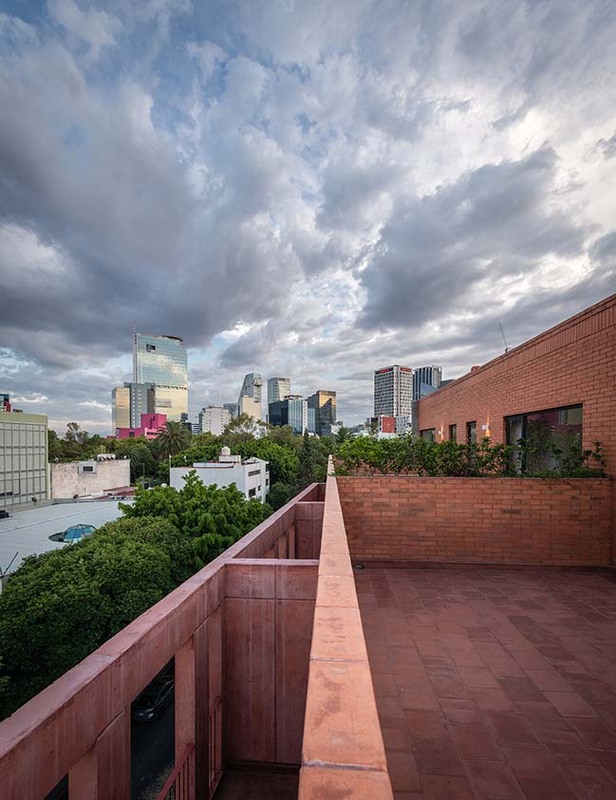 Located one block from Sullivan Avenue where Mario Pani made the Plaza Hotel; Luis Barragán built the whole of an apartment building and two houses, each with a commercial space, Mathias Goeritz built the Eco Museum; Felix Candela built Autos Francia, which is currently a supermarket and still keeps its concrete umbrellas, and the sculptor Oliviero Martinez took over the sculptural set Monument to the Mother. 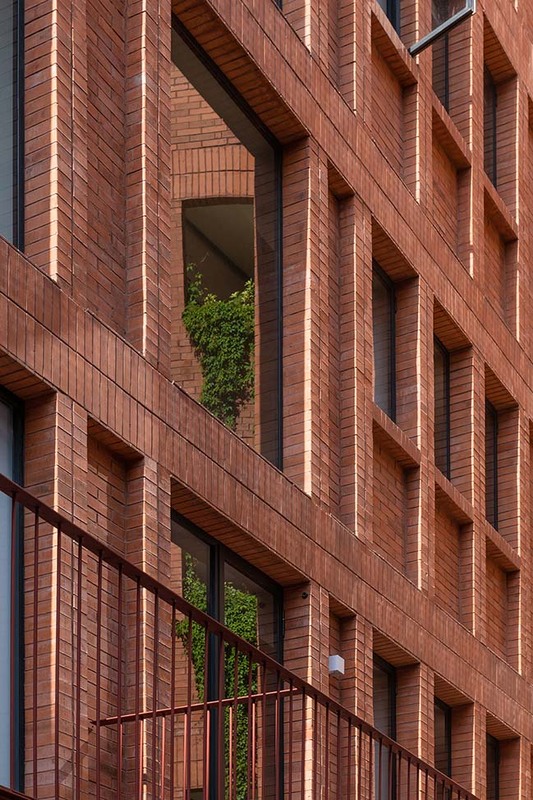 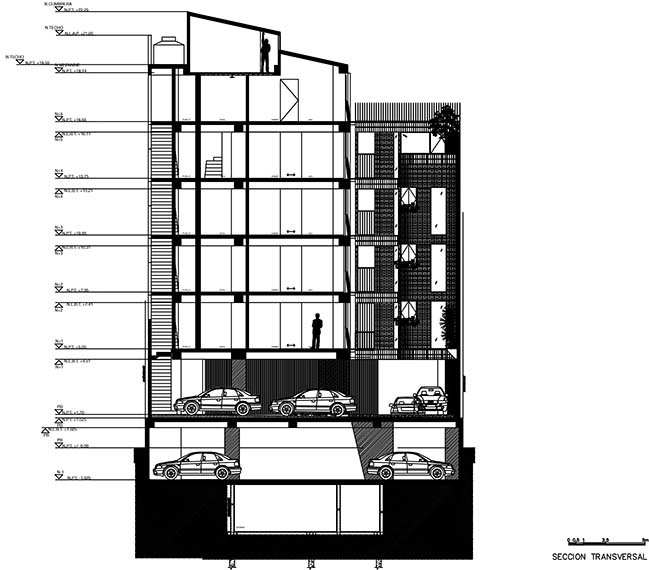 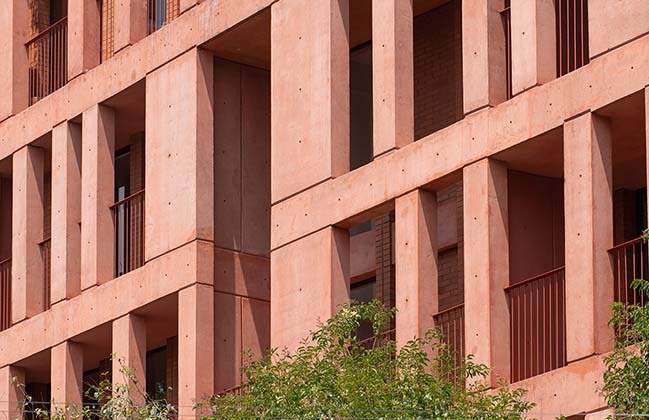 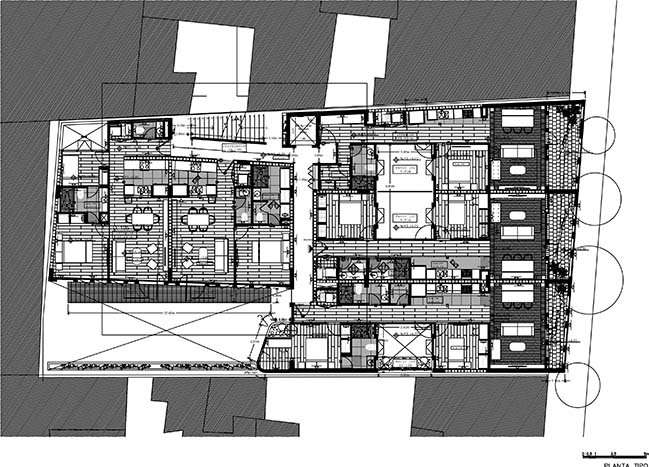 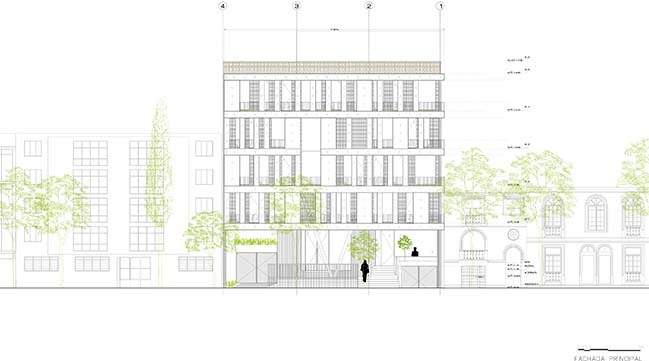 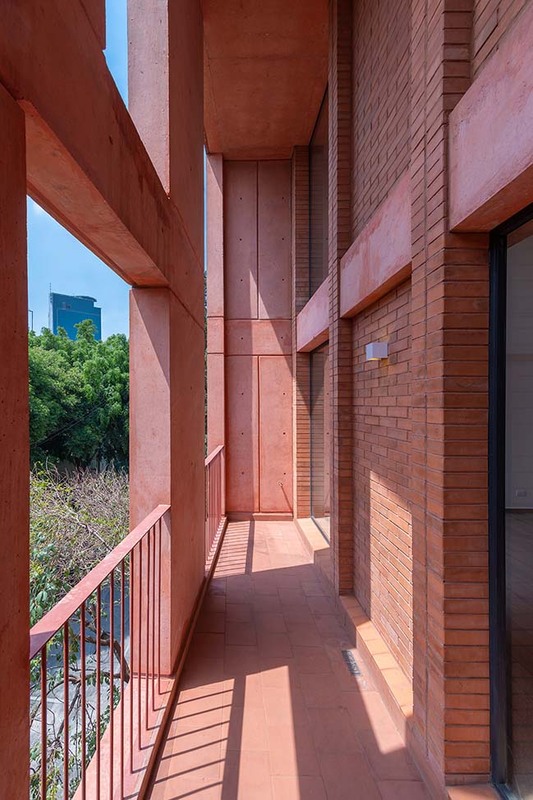 The 6-level building is made up of 21 departments of different typologies ranging from 60 m2 to 120 m2 approximately, with an interior distribution that favors ventilation and natural lighting in all living areas, with views towards their inner courtyards as well as the Street. 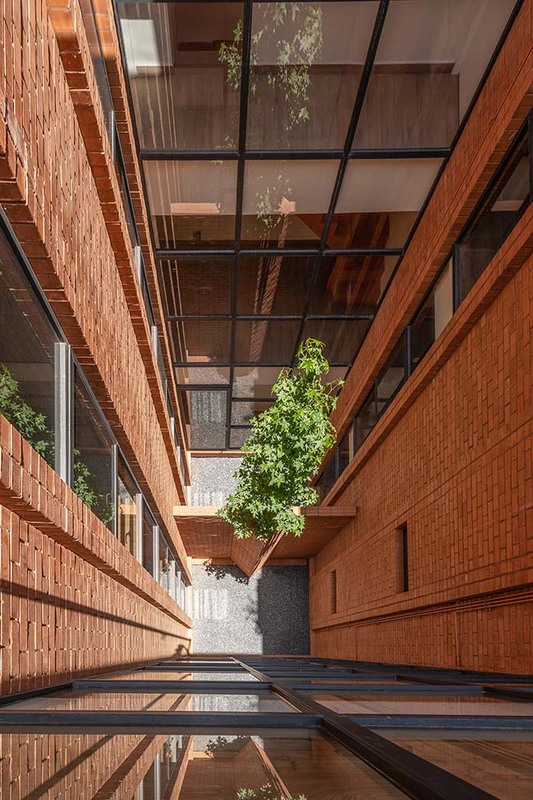 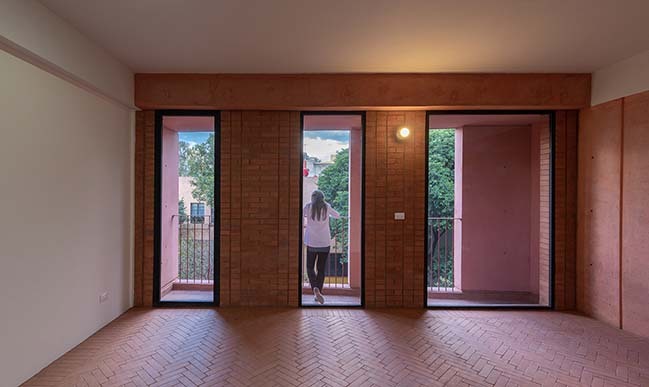 A central courtyard that separates from the southern boundary, serves to give a greater surface of interior façade, allowing a greater natural lighting and cross ventilation inside the houses. 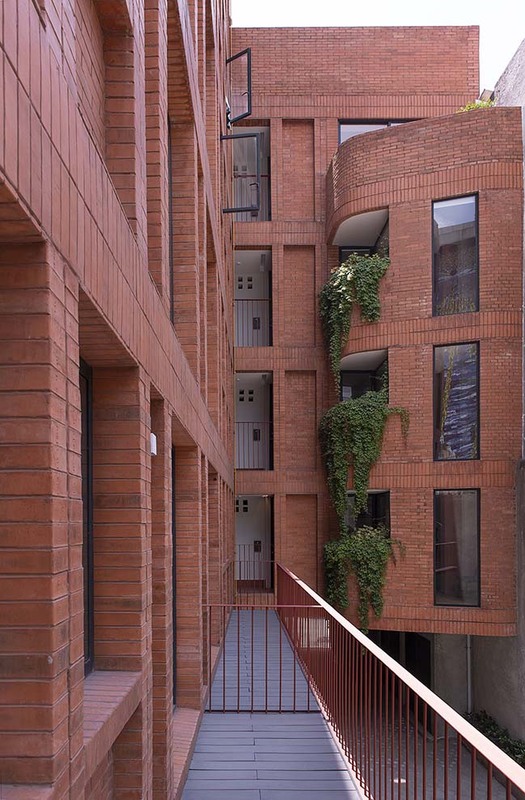 It also has three interior patios of different sizes which separate the common area from the private area. 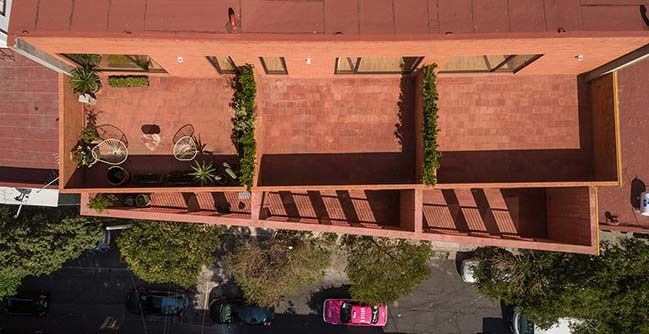 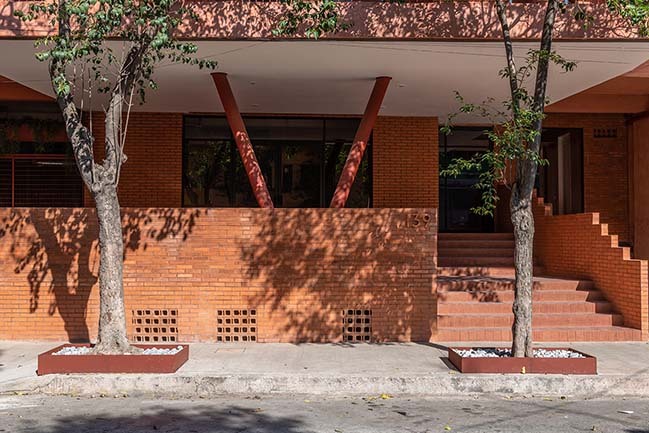 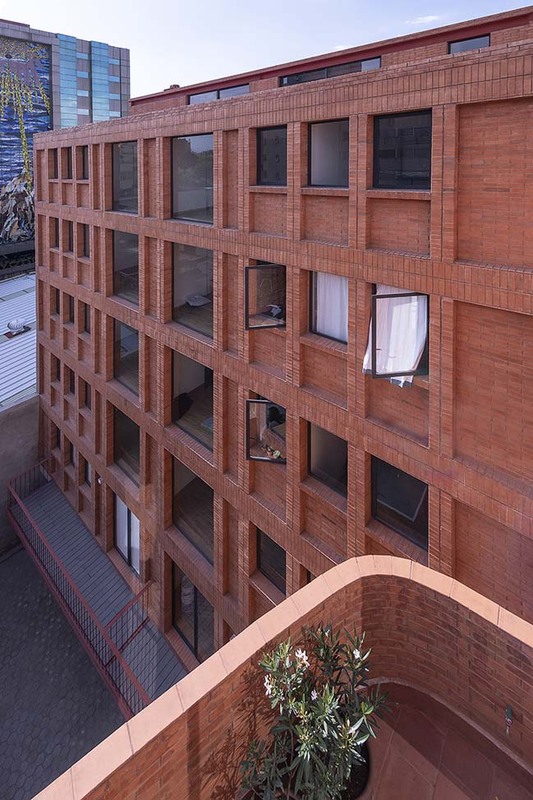 The volume of the building moved in an "L" shape to its patio, where corridors, balconies and terraces are created, community spaces that are considered as places of relationship of the condominium and intermediate areas between the exterior and the interior space. 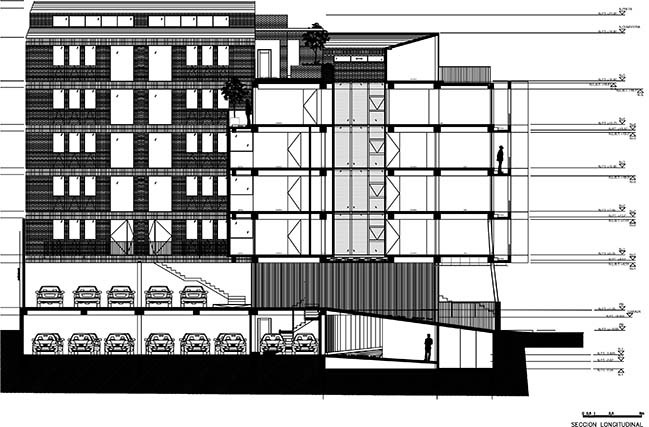 The project has basically 2 types of departments, the front departments with 2 bedrooms and the interior apartments with 1 bedroom. 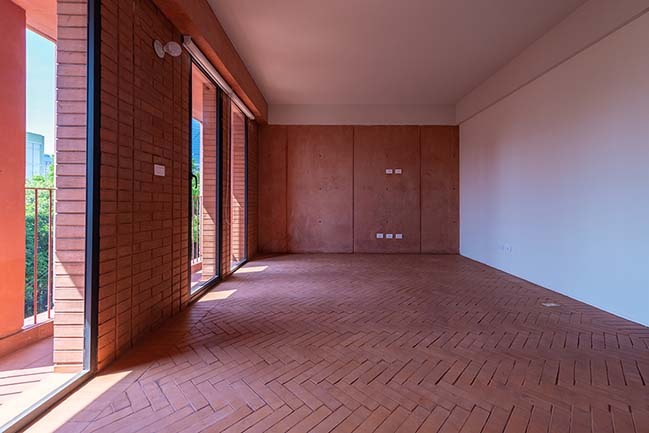 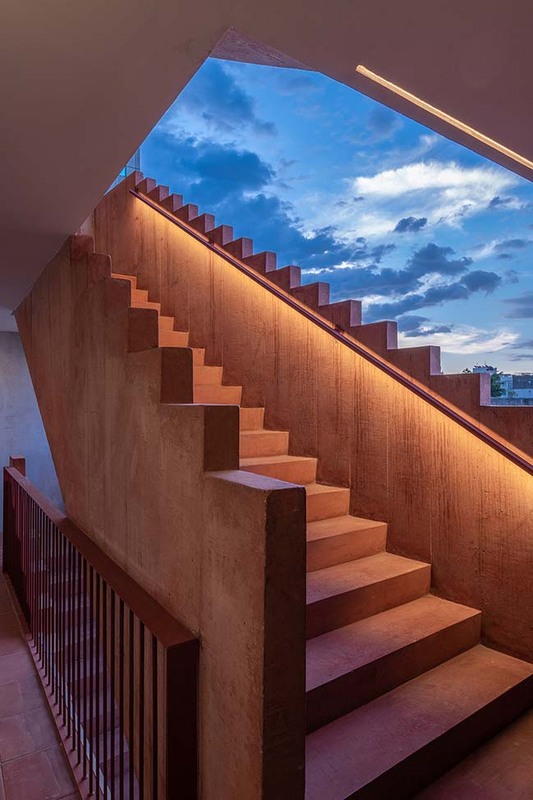 The materials used are materials in apparent finishes, such as red concrete, red partition, quarry and wood; thought with natural and durable materials. 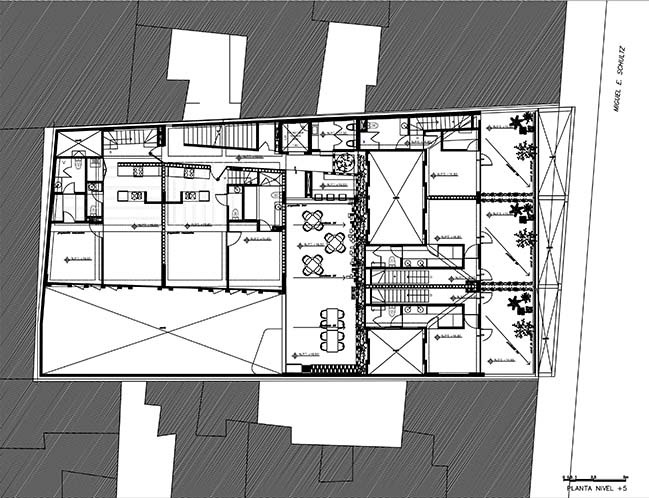 The solution of the distribution in the house is divided into two parts, a "living area" in the east and a "sleeping area" in the west, with wet rooms, bathrooms and kitchens, on one side. 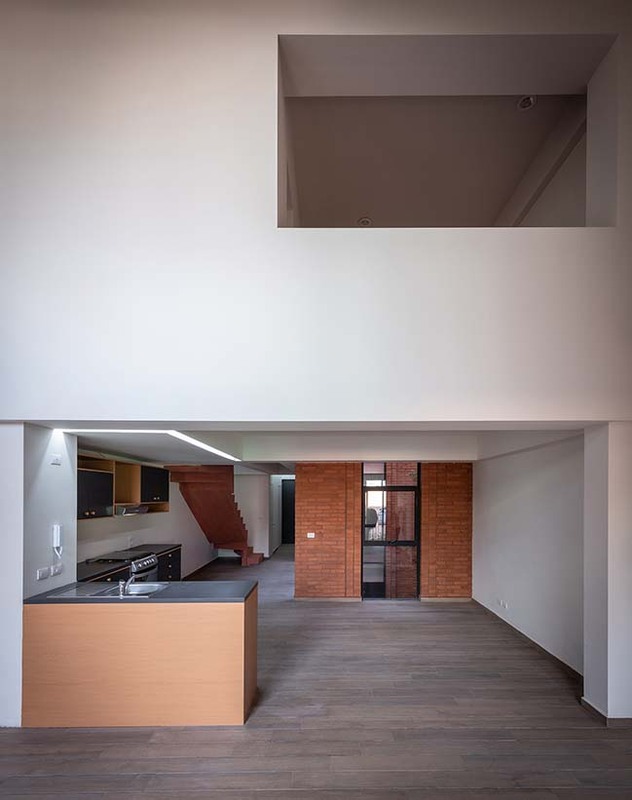 The balconies become a spatial extension of the living-dining room, a perception that is accentuated thanks to the floor-to-ceiling windows.